MONTICELLO – Friday, the Bureau of Land Management Utah Monticello Field Office issued the decision to amend the Monticello Travel Management Plan by approving the motorized use of five travel routes: Blanding to Bulldog, Jacob’s Chair, Nokai Dome, River House and Woodenshoe. The five approved routes add to more than 2,800 miles of trail currently open and available for OHV use on lands managed by the Monticello Field Office in southeastern Utah. 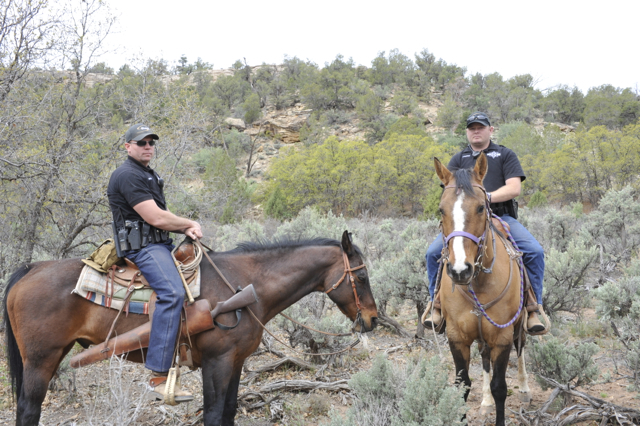 For more than a year, an interdisciplinary team of BLM specialists in the Monticello Field Office worked with San Juan County representatives to further support motorized recreation and tourism in the area. The travel plan amendments approved today will enhance motorized recreation opportunities and visitor experiences in San Juan County by reducing highway safety conflicts and improved access and parking at popular cultural sites. Wildlife needs were also considered, with planned construction timed to avoid nesting and breeding periods for migratory birds and other animals. The BLM recognizes the positive economic impact that motorized recreation on public lands has on communities throughout Utah and is committed to working with its many partners to support responsible OHV-use on BLM-managed lands. In recent years, nearly six million annual visitors recreating on Utah’s public lands have boosted local economies and community job growth through recreation tourism; in 2012, recreation on BLM-managed lands in Utah provided $490 million in local and national economic benefits. The environmental assessment, including maps of the routes, contains the analysis used to reach Friday’s decision. The decision rationale is outlined in the Finding of No Significant Impact and Decision Record, which are available on the Environmental Notification Bulletin Board (search for project name “Five New Travel Routes”). For additional project-specific information, contact Donald Hoffheins at 435-587-1500. Persons who use a telecommunications device for the deaf may call the Federal Information Relay Service at 1-800-877-8339 to leave a message or question for the above individual. The FIRS is available 24 hours a day, seven days a week. Replies are provided during normal business hours.